After an all-day diving excursion with sea lions and seals in the kelp forests off Anacapa Island, a swarm of dolphins was spotted on the way back to shore. More dolphins than I have ever seen were breaching the waters all around us, apparently following the squid boats that were luring the squids with massive spotlights. 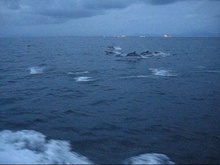 Although you can't see it from the video, there were a few sea lions amongst the dolphins as well. 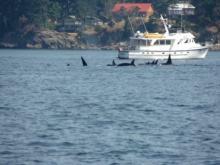 After a ferry ride from Anacortes, we took off from Friday Harbor on the Western Prince in search of Orcas. Even though it was a bit late in the season, luck was on our side and we caught J-Pod and K-Pod simultaneously in resting formation. At the Rigoulot's for Christmas, Lauren loves petting Gig'Em, Gig'Em loves the attention, and Natalie is caught in the middle. 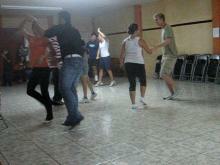 Every Monday and Thursday we had dance lessons in San Joaquin. Salsa, Merengue, Cumbia, Bachata, Bolero, and even some country line dancing was taught. The Latinos were pretty amazing and the Gringos were pretty awful. Dad and I drove from Fort Lauderdale to Atlanta and spent a week with the Arants. 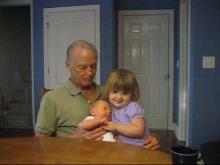 In this video, Elliott is one month old and Lauren is almost three. 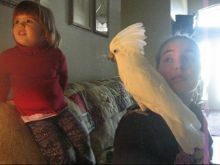 Poor Elliott has an older sister, and Lauren loves her little brother! I went to Tortuguero to see the Green Turtles come ashore and lay eggs. 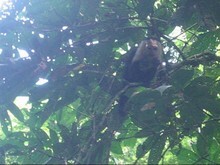 On the canoe ride the following morning I saw all kinds of wildlife including howler monkeys, spider monkeys, and these white-faced monkeys. 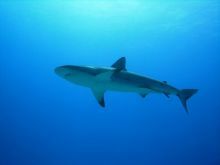 The most anticpated dive during Blackbeard's Liveaboard was Bull Run, the shark encounter. With a block of food suspended by a chain, the feeding frenzy began while we divers sat 25 feet away. 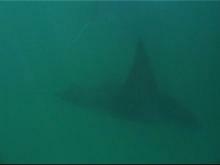 The sharks would swim within arm's reach and Dave was able to take this great video using his underwater camera. This clip is entertaining for the radio and music, not so much the taxi ride. 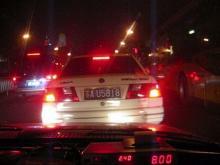 Also of interest: price of the cab ride (8 yuan is approximately 1 dollar), timers on all the stoplights, and the nice cars. Remember, though, that most Chinese do not own cars. Forget all that is on your mind and begin to play! 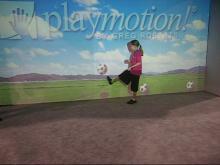 is the philosophy behind PlayMotion, just one of the many innovative and exciting ideas showcased at the IAAPA expo. This video was taken at the Bat House on the University of Florida campus near Lake Alice. 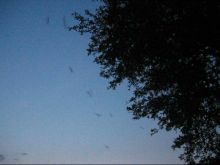 At dusk, the bats stream out of their "cave" to feast on insects. Approximately 60,000 bats live in the bat house. 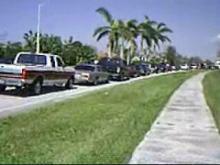 We still can't figure out why everyone was in such a rush to get gasoline after the hurricane. Probably a combination of fear and boredom rather an actual need for fuel. Nonetheless, we had fun filming those who waited over eight hours to fill up their tank. Looking across the lake from our backyard, Hurricane Wilma looks pretty neat. The north fence and part of the south fence were blown down. As I'm panning across our front driveway, a branch came flying towards me. 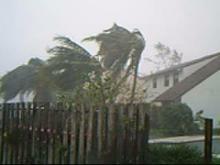 Hurricane Wilma was the 4th category 5 hurricane of the 2005 season, the most active season on record. 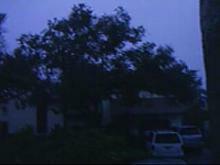 Category 5 Hurricane Wilma struck south Florida in the morning hours, as seen here just after dawn. 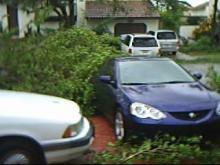 This video is from the front of our house before a huge branch fell right next to my car. Also, Byron contemplates how the stock market will react. 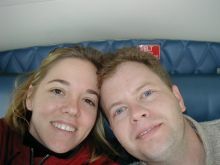 This slideshow was shown during Herschel and Candee's wedding. The "wedding slideshow" was originally shown at David's wedding and again at Suzy's wedding. They were such a big success, we decided to do it again, this time for Candee's wedding. It was a lot of fun to make and I think it turned out pretty well! Off Holbox Island in the Gulf of Mexico, whale sharks (largest fish on earth) come to feast on plankton and we were able to snorkel with these sharks. The video does a good job of showing just how big these creatures are. 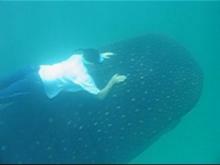 Along with the Whale Sharks off Holbox Island are Manta Rays, which also feed on plankton.